Wurlitzer theater organ (in a museum); photo by Snapshooter46 on Flickr (noncommercial use permitted with attribution / share alike). "The theater organ is a uniquely American musical invention, providing sound accompaniment in the silent era of motion pictures (1910-1932). 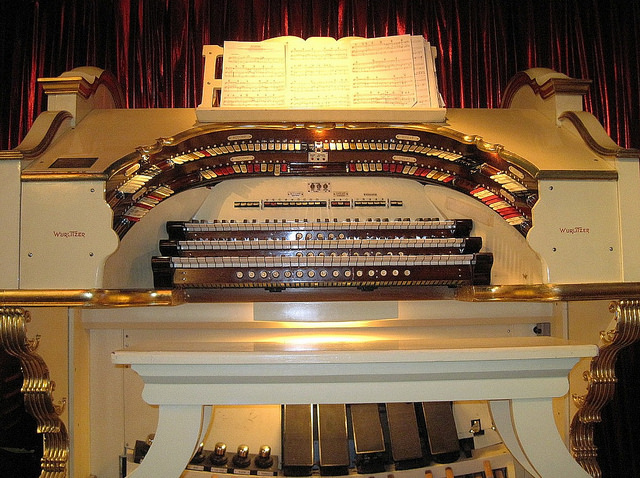 The theater organ has been described as the "heart and soul" of motion picture houses and movie palaces. Nearly 7,000 theater organs were performing each day when the motion picture screen finally learned to speak in 1927. Soon after, theater organs were abandoned, discarded, sold, given to churches and/or languished for years dormant in their theaters." 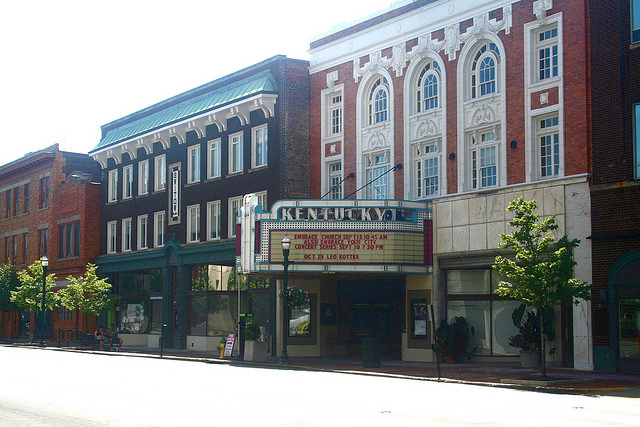 Historic Kentucky Theater in Lexington, KY; photo by Travis Estell on Flickr (noncommercial use permitted with attribution / share alike).